It depends, in part, on your destination. In light of escalating drug-related crime in Mexico's big border cities, safety is a valid concern. In November 2018, the US State Department issued an extension of its travel warning for citizens traveling to Mexico. According to the State Department, drug cartels are battling each other for control of the drug trade and are simultaneously fighting government attempts to crack down on their activities. The result has been an increase in violent crime in parts of northern Mexico. While foreign tourists are not typically targeted on purpose, they occasionally find themselves in the wrong place at the wrong time. Visitors to Mexico may become accidentally involved in carjackings, robbery or other violent crime situations. Complicating the issue is the lack of news information coming from the affected areas. The cartels have begun to target Mexican journalists who report on drug-related murders, so some local media outlets are not reporting on this issue. The reports that do trickle back indicate that kidnappings, murders, robberies and other violent crimes are on the rise in border areas, particularly in the cities of Tijuana, Nogales and Ciudad Juarez. On occasion, foreign tourists and workers have been deliberately targeted. US news sources, such as the Los Angeles Times, report ongoing violence, including armed robberies and exchanges of gunfire. The State Department has prohibited its own employees from entering casinos and adult entertainment establishments in some Mexican states due to heightened safety concerns. In addition, US government employees' travel activities in Mexico are restricted, especially at night. They must use apps like Lyft or Uber or order taxis at government-regulated taxi stands to obtain on-demand transportation services, and they are forbidden to travel from one city to another by road at night. 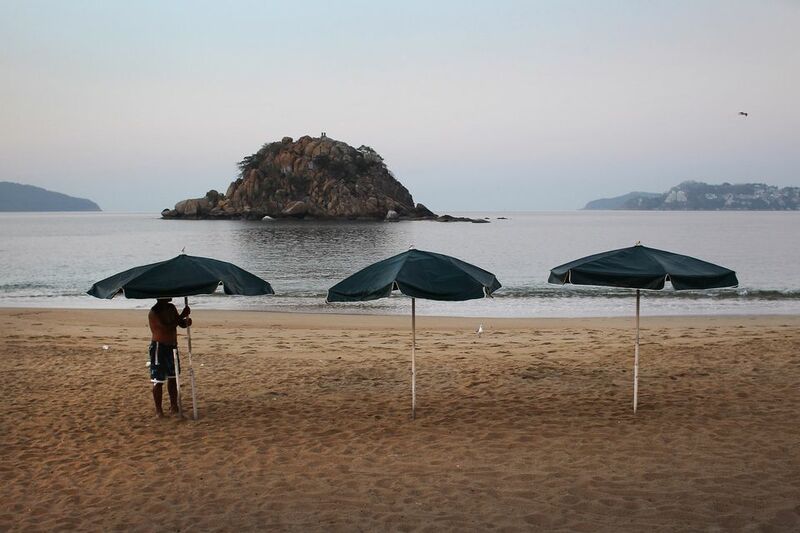 The State Department has classified five regions of Mexico as unsafe for tourists. These regions include Colima, Guerrero, Michoacán, Sinaloa and Tamaulipas. The department's Overseas Security Advisory Council reported that murders for the first half of 2018 were up 16 percent from the previous year, indicating that visitors to Mexico still have reason to avoid unsafe areas. The State Department strongly encourages US citizens to "be alert to safety and security concerns when visiting the border region" and to monitor local news reports while traveling. "Express kidnapping" is also a concern, according to the UK Foreign and Commonwealth Office. "Express kidnapping" is the term used to describe a short-term abduction in which the victim is either forced to withdraw money from an ATM to give to kidnappers or the victim's family is ordered to pay a ransom for his or her release. Street crime is also an issue in many parts of Mexico. Take standard precautions, such as wearing a money belt or neck pouch, to safeguard your travel money, passport and credit cards. Zika is a virus that can cause microcephaly in newborns. Pregnant women are strongly encouraged to take all precautions against mosquito bites while traveling in Mexico, as Zika is a locally-transmitted disease in that country, according to the Centers for Disease Control and Prevention (CDC). if you plan to spend most of your time at elevations over 6,500 feet above sea level, Zika virus will not be a concern, as the mosquitoes that transmit Zika tend to live at lower elevations. If you and your partner are past your childbearing years, Zika will be no more than a minor nuisance to you as you deal with its symptoms. News reports have surfaced in recent years that detail incidents in which tainted alcohol has been served to tourists in Mexico. If you plan to drink alcohol in Mexico, check the State Department's latest Mexico travel safety information before you leave home, and never drink alone. The Bottom Line: Start Planning Your Mexico Vacation. Mexico is a very large country, and there are many areas that are safe to visit. Hundreds of thousands of travelers visit Mexico every year, and the vast majority of these visitors never become crime victims. According to Suzanne Barbezat, TripSavvy's Mexico Travel Expert, "Most people who travel to Mexico have a wonderful time and don't encounter any problems." In most parts of Mexico, tourists need only exercise the caution that they would in any vacation spot – pay attention to surroundings, wear a money belt, avoid dark and deserted areas – to avoid becoming crime victims. Mexico has much to offer as a vacation destination, including good value, a rich cultural heritage and stunning scenery. If you are concerned about the safety situation, avoid border cities, particularly Ciudad Juarez, Nogales and Tijuana, plan an itinerary that skips known trouble spots, check the latest travel warnings and be aware of your surroundings during your trip.